“So long as you’re not afraid to put yourself out there you could be a Singer-songwriting superstar in no time! If your not up you performing your songs yourself, Or you have no interest in singing, maybe you could think about licensing your lyrics to other artists to perform. There’s a great big bandwagon out there, and there’s still plenty of room to jump on it. I like to call it the collaboration transportation device. Climb aboard meet other like minded people and help each other out. In these days of independent digital music stores where unsigned artists can get their work known, there are opportunities out there for everyone who pursues and crafts their talents even if singing is not your talent, there are other options. What’s the story behind the writing of this album? Where does a 22 year talented singer-songwriter find the inspiration for heart-felt lyrics for such a stunning album? “Thank you so, so much! Well, all these songs are about real things and thoughts that I’ve been living with, and they’re all written out of this explosion of emotions that kind of makes me forced to just get it out. Writing music is my way to deal with stuff and figure my own head out. If you can write lyrics for songs and bring your emotions to the writing table, and you’re willing to put in the effort and learn some new skills along the way, you can develop your craft and start to make a name for yourself. But there are no quick fixes. 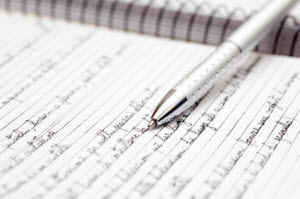 You will need to practice writing good lyrics, and then practice some more. Writing a song is a skill like any other – you can always get better at it. Without further ado, let’s take a look at how you can get started on writing good lyrics. Writing a song means understanding what a song is. What is its structure? What are the technical aspects of it? Listen to as many music tracks as you can and dissect them. Think about how they achieve their effects, what it is that makes them work. Ask yourself which lyrics tug at your heart strings and why. You will need to be bold and listen outside your comfort zone. Some genres you may find not to your liking at all. However, The more you understand about writing a song, the more you’ll be able to write songs you’ll be proud of. Writing a song and sharing it can be daunting, especially if you’re unsure whether you’re writing good lyrics, but sharing is the only way to improve your craft and get yourself known. There are networking events and songwriter’s circles where you can meet other singer-songwriters and lyricists to get honest feedback on your lyrics. You could even try your lyrics on other singers on YouTube if you’re not into singing your own lyrics. Once you’ve got a few songs you are confident in, then it really is time to start getting known. Your own web presence will also help, there are lots of free platforms you can use, or you could host your own blog to publish your song lyrics, it’s not expensive. Family and friends might say nice things, but to improve you need good, honest feedback, so seek out people with the knowledge to give it to you. But don’t forget the local music scene, either. It might be scary, but performing and seeing the reactions is an important barometer of how your songwriting endeavors are working. Writing good lyrics is one vital part of being a good lyricist. However, learning how to sing them is the other if performing is also part of your dream. Writing a song is a good start, but if you want to be a singer-songwriter, you need to perform them as well. To do some or all those things mentioned in the Get Known section, you’ll need to practice your vocals. It’s not just about technique; it’s about finding your voice and learning how to sing your songs in a way that is authentic. Good songs start with writing good lyrics, but they continue with making a connection with the audience and stoking their feelings. Writing good lyrics without recording some of your creations is like cooking a masterpiece but forgetting to bring it to the table. You don’t need to invest thousands but start with some decent basics. At the very least you’ll need an 8-track recorder and a decent mic with some software. 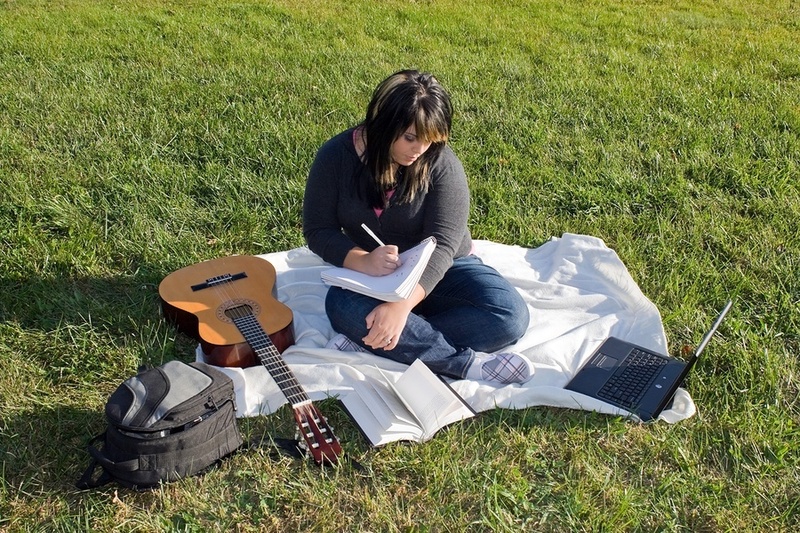 A guitar is a very useful writing tool too, so much so that it might be a good time to learn if you don’t play already. A small amp will be useful for when you start taking your songs out into the world. Becoming a good singer-songwriter takes time, patience and practice. There’s nothing quite like the feeling of writing a song and getting a warm reception when you perform it, so start practicing today so you can hone your skills and show the world your talent.